inscription: Per S.B. - Verso: "Pond Farm" is inscribed; mark (jug) is also inscribed. Per S.B. 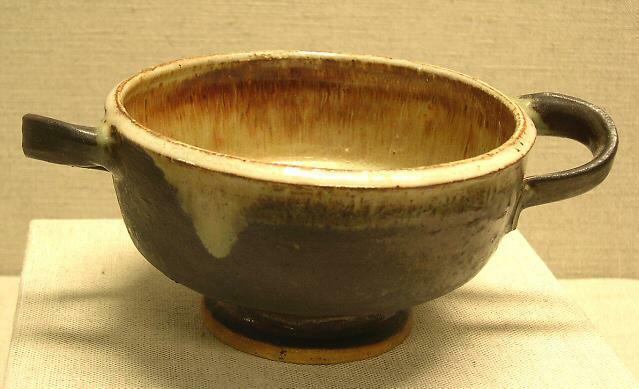 - Low bowl with two handles (like a porriger or compote). Exterior and handles are glazed in dark brown, lip and interior in pale ivory and rust.